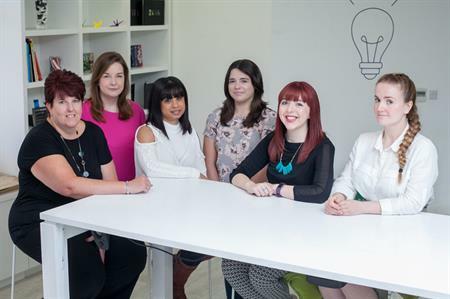 Ashfield Meetings & Events has added seven new recruits to its UK operations this month. The new recruits will be based in the agency’s European hub office in Ashby De La Zouch. The appointments have been triggered by new full service event management contracts in the healthcare sector and span several different departments in the business, including operations and venue sourcing. This brings the number of new starters across the agency in June and July to 16. The fresh talent has been busy undertaking a comprehensive induction programme, covering all facets of the business. Over the coming weeks the newcomers will continue their on-boarding with role-relevant training on client-specific processes and procedures. Commenting on the hires, Helen Capelin, head of operational excellence, said: "We have had a strong focus on our recruitment efforts in recent months due to new business wins. We have placed a greater weight on character attributes such as motivation, curiosity, engagement and determination. We find that by making selection decisions based around these characteristics we can determine a candidate’s potential and ascertain their adaptability to our company and to our clients’ business environments. It is great to see our efforts come to fruition as we welcome these new starters to the business. We look forward to watching them grow and prosper."